A week ago, my Sangean WR-2 was fried when the electric company surged my house. I replaced it with the Grundig S350DL but it drifted too much. I then used my superior Crane-SW radio (same size as the big Grundig) and guess what? It died! Those cheap radios today seem to die after 5 years or so. So I looked through the myriad of unused radios in my cabinet and unearthed a Sangean CL-100 purchased in 2011. For whatever reason, it no longer works with batteries (old double As were left in there and leaked a tiny bit but compartment looked clean enough), so I plugged it in and it works. FM is better than my Sangean WR-2. I think it has a DSP chip. AM is better with low background noise, amazing for a radio this small. Speaker is not as good as the WR-2, but it’s clear and okay since I listen mostly through earbuds. Tiny footprint on my bedside table, which I like. The menu system is easy enough to use though I wonder if down the road I’ll encounter bugs. I bought this for about $45 and now it’s about $12 more. It really suits my needs. 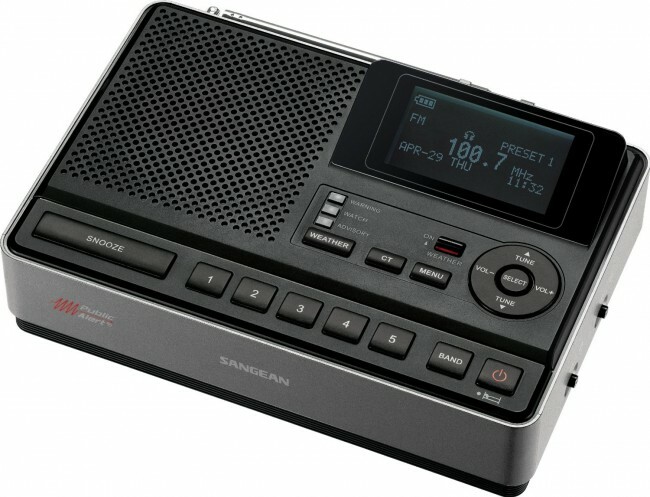 [A] man needs a strong performing bedside radio. That’s the backbone of a collection. I see why you like the CL-100. For a bedside radio, the flat/horizontal form factor also makes it less susceptible to being knocked over when you reach for it in the dark. Having your Sangean WR-2 fried by the power company is bad enough, but then finding out your C.Crane CCradio-SW isn’t working just adds insult to injury. I should note that, in general, I think C.Crane products are built as well as most others on the market. I often wonder if premature product failures have less to do with poor quality control and more to do with the lead-free solder electronics manufacturers are forced to use these days. Many moons ago, a friend sent me this article which outlines concerns about the use of lead-free solder in the military and aerospace industries. It’s worth a read and certainly points out inherent flaws. I often wonder if nearly all of our modern consumer electronics are prone to fail within a decade; you know, planned obsolescence at its worst. Perhaps I’m overreacting. When I build kits or repair electronics, I only use traditional lead-based solder. Not only is it easier to use, but I feel it will last longer. This entry was posted in AM, News and tagged CCRadio-SW, Herculodge, Lead Free Solder, Sangean CL-100, Sangean WR-2 on September 24, 2015 by Thomas. Thank you Thomas! I really appreciate it! I apologize for this being off-topic…but can anyone steer me to someone in NASWA who could send me a membership form? I keep getting a “Forbidden” when I go to NASWA.net. Using tin/lead solder on our own workbenches is one thing but this won’t necessarily guarantee a longer life for our electronic projects. Nowadays, components with internally soldered connections (for example, integrated circuits) use lead-free solder and it’s these tiny connections that are most likely to “whisker”. I have a great deal of concern about the long-term viability of even the highest quality electronic equipment being manufactured today. My Heathkit HW-7 and HW-8 transceivers (built from kits in the 1970s) are still going strong after 40 years but I have to wonder if my beloved Elecraft KX3 (built from a kit in 2013) will still be working after 15 years because of lead-free solder used within components and on the factory-populated circuit boards. 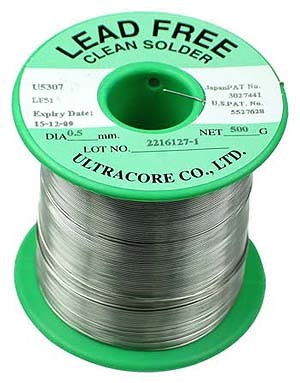 Thomas – thanks for sharing the article on lead-free solder – very interesting!